We create shows and workshops mixing stage performance with amazing demonstrations to explain the most incredible ideas in science – in the most memorable way. Our shows are performed throughout the year at venues across the UK and can be booked in-school too. Explore below to find out more about what we offer. We run hands-on workshops that give students a chance to see a subject in-depth and try things out for themselves. Lasting anywhere between an hour and a whole day, workshops are great for a single class or STEM Club. 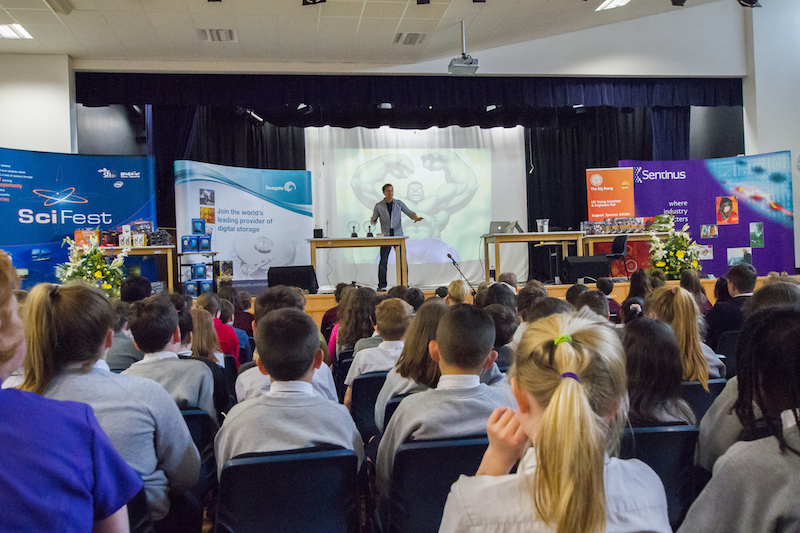 As a provider of shows to schools, we make sure that our content can help teachers get across key concepts in the science curriculum. However, our shows (and even workshops) aren’t designed to replace lessons – we carefully produce our content to explain enough to spark a student’s interest but then leave them with questions that they’ll be thinking about long after the show is over. 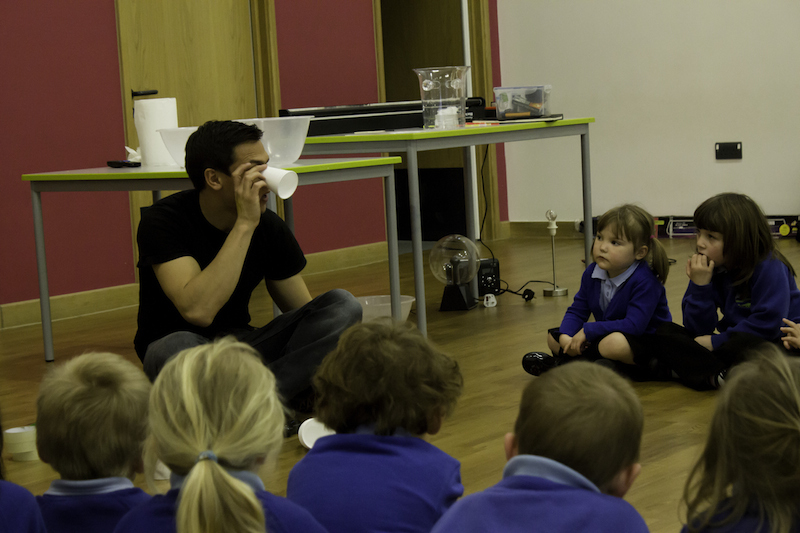 And it’s not just students we cater for – we regularly perform for family audiences too!